The Irish Social Club and The West Roxbury Y and Parkway Running Club have got together to host a Music Marathon Benefit in aid of One Fund Boston. The special 10-hour event on June 29 will feature live music, DJs, dancing, raffles and a live bachelorette/bachelor auction with first responders. Special Guest Susan Wornick from WCVB-TV will serve as the Auctioneer. There will also be a few “celebrity” bachelors and bachelorettes in the mix, including one of the officers who appear in Boston’s Finest – Jenn Penton. At the event, first responders of the Boston Marathon attacks will be honored along with others who helped during the aftermath of the bombing. 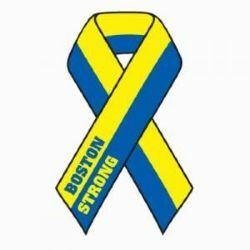 Members of the various public agencies will be accepting recognition for their effort in the attacks, such as Boston Police, Boston Fire, EMS, FBI, MBTA, District Attorney’s Office, AFT, private ambulance service, as well as some representation from the medical community, including a doctor and a nurse. The Music Marathon Benefit for One Fund Boston will be held at the Irish Social Club, 119 Park Street in West Roxbury on Saturday, June 29 from 2 pm until 12 midnight. Children’s activities, organized by the West Roxbury Y, will be available from 2-6 pm. Admission is $20 and children are free. Donations can be made to “ONE FUND BOSTON” and brought to the Irish Social Club on the day of the event. If you have any questions, please contact Mary Mulvey Jacobson at 617-285-3450 or call Mary Maloney, President, Irish Social Club at 617-549-9812.